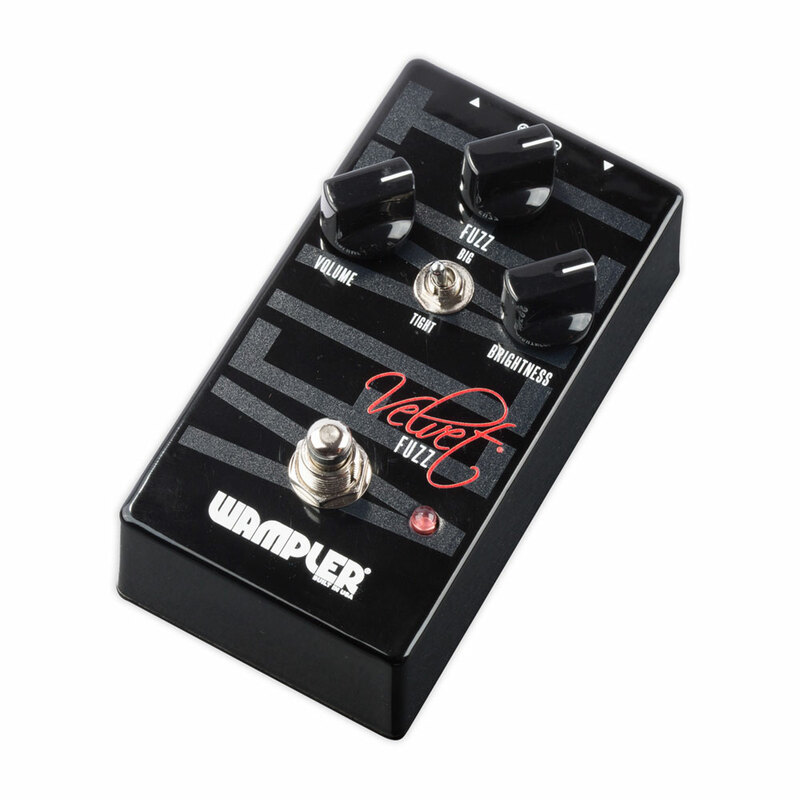 With all the character, power, and tone of a classic fuzz, the Wampler Velvet offers all this AND the option to tame the beast and bring it back under control. 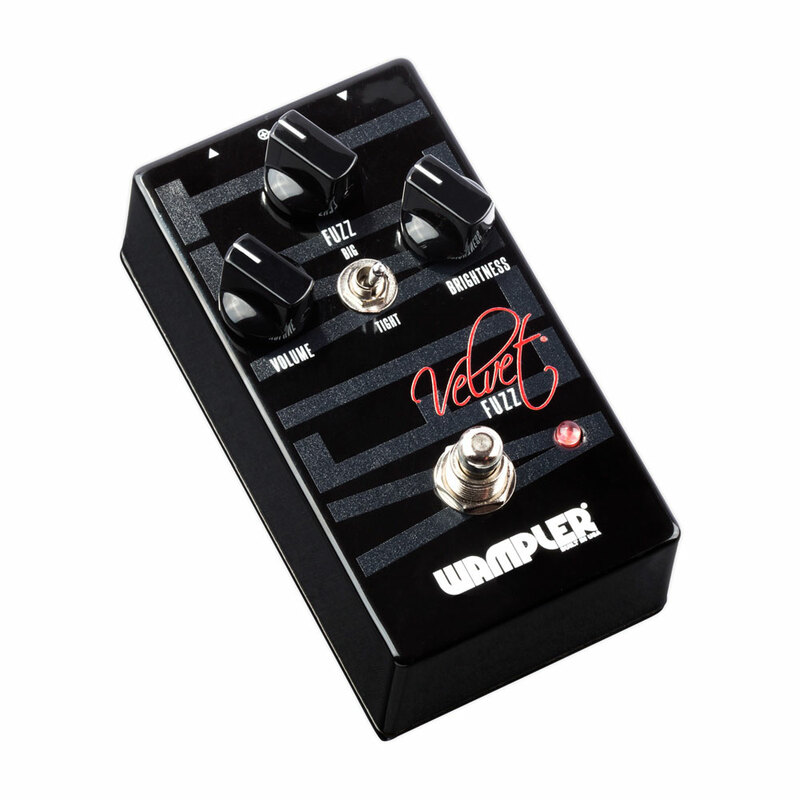 With two completely different clipping options accessible via the Big/Tight switch. 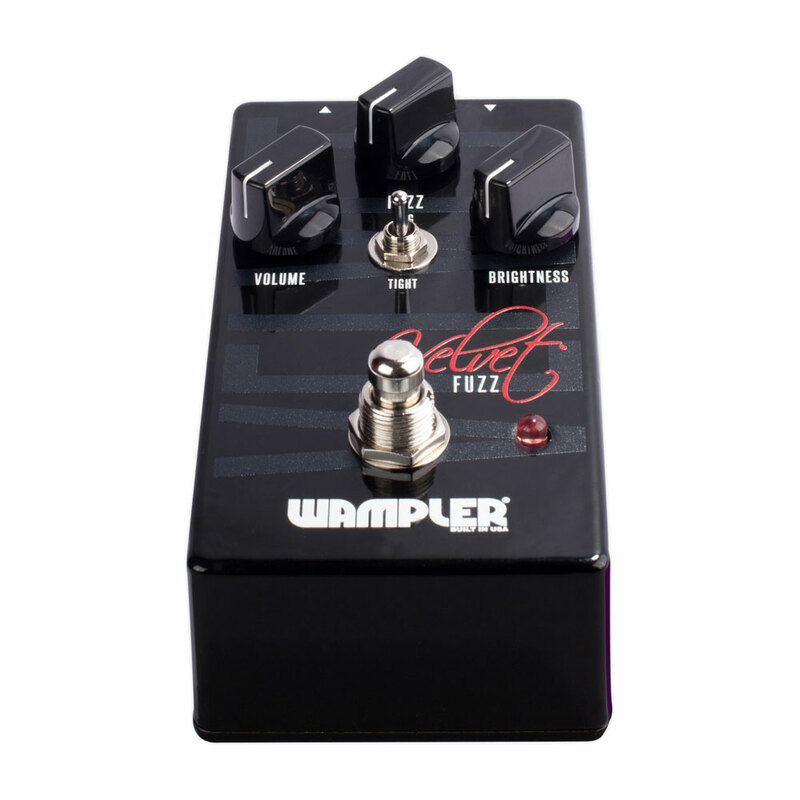 In Big mode you will get a bigger sound that has a fat but creamy fuzz quality to it but cleans up with the guitars volume, the volume can really change the dynamics in this position. 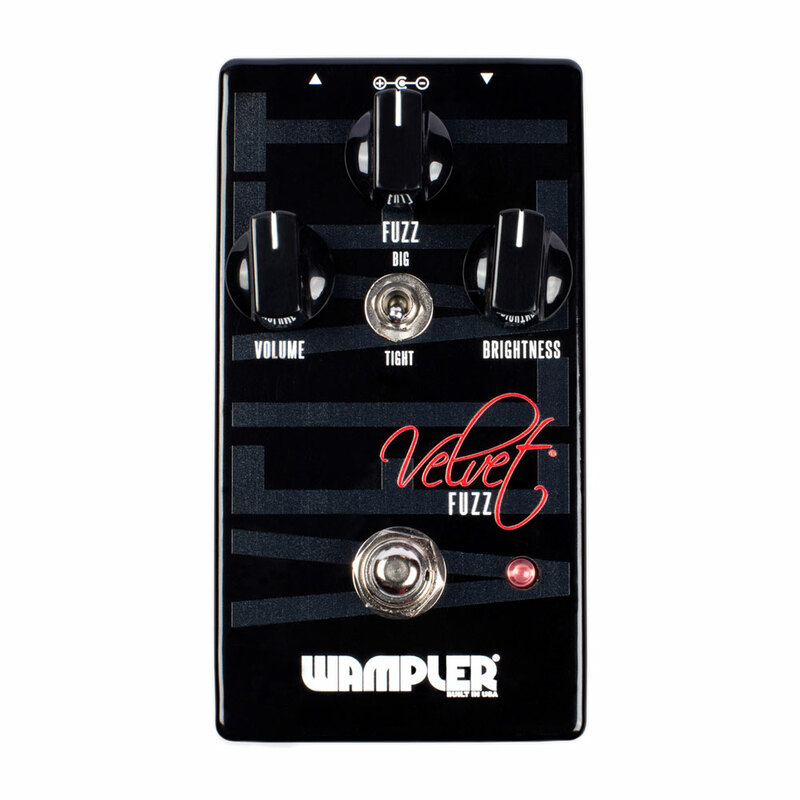 With Tight, the tone feels a bit more distortion like, yet a creamy fuzz tone that is bordering on the edge between distortion and fuzz. 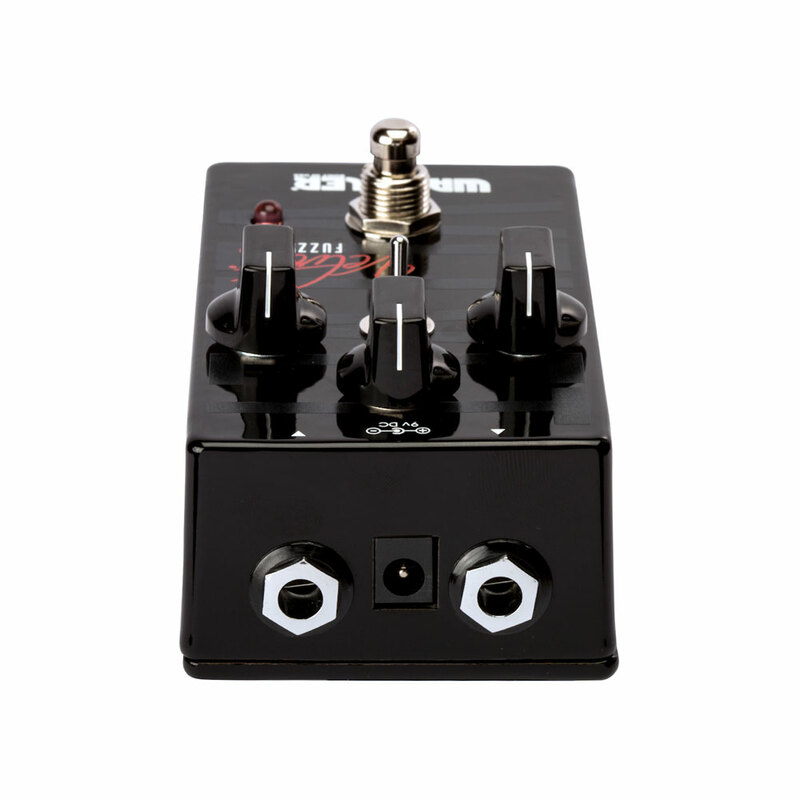 Featuring a Fuzz control knob and Brightness control knob you can further dial in your tone.